(as approved by the Joint Working Group November 13, 2000)Proposed Text to be considered by the National Convention of the Evangelical Lutheran Church in Canada and the General Synod of the Anglican Church of Canada Waterloo, Ontario 2001 This official commentary to “The Waterloo Declaration” is that revised by the Joint Working Group November 13, 2000. 1. Full communion between our two churches must be seen in the light of the work of the Spirit we call ‘The Ecumenical Movement’. While our context is Canadian, our growth in unity is a dimension of the on-going rapprochement evident throughout our two communions internationally and throughout world-wide Christianity. While we treasure our heritage, we have come to believe that our future is not defined solely by that past. 2. Lutherans and Anglicans are graced in that we can respond to this prayer for unity without having experienced formal separation from one another. We share a common heritage as catholic churches of the Reformation. Despite our previous geographic, linguistic and cultural differences, in recent years we have discovered in one another a shared faith and spirituality. This discovery has called us into a search for more visible unity in mission and ministry. 2. Although there are theological differences between our two communions, these differences have never resulted in any formal action declaring either church to be schismatic. Historical circumstances in England, Germany and the Scandinavian countries led to differences in the ecclesiastical polity and theological emphases of the Anglican and Lutheran churches. Political events in later centuries contributed to the hardening of these national and cultural differences into theological convictions. 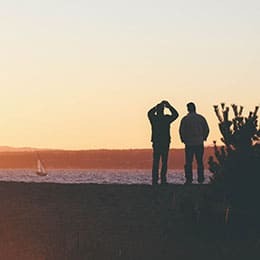 Our shared experience of mission and ministry in Canada has led us to review our convictions and to envision a future based upon new theological insights and common priorities for discipleship. 3. On the international scene, the Lutheran World Federation and the Anglican Consultative Council have participated in a number of formal discussions since 1972. These conversations were encouraged by the international multilateral consensus document Baptism, Eucharist and Ministry (Faith and Order, WCC, 1982). In 1987 an international Lutheran Anglican consultation on episcope was held in Niagara. From this gathering some specific recommendations were directed to the churches for their discussion. Consideration of these recommendations led in northern Europe to The Porvoo Common Statement (1993), and in the United States to the Concordat of Agreement (1997). 3. Both our national churches belong to international communions and to the World Council of Churches. Consequently, our approach to full communion has been deeply influenced by international bilateral and multilateral conversations and agreements. As churches in North America we cannot help but consider the work of the Lutheran and Episcopal churches in the United States as we develop our own approach to full communion. 4. In 1983 Canadian Lutherans and Anglicans met to discuss the implications for the churches in Canada of the on-going dialogue between Lutherans and Episcopalians in the United States. 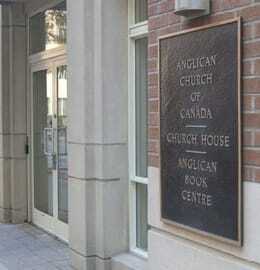 From this meeting emerged the Canadian Lutheran Anglican Dialogue (CLAD), whose first series of meetings led to the publication of its Report and Recommendations (April 1986). This report gave impetus to the desire of the two churches to produce an agreement which could provide a basis for the sharing of the eucharist between our churches. 4-7. The Waterloo Declaration represents the fruit of almost twenty years of Canadian dialogue and experience. At every step we have been aware of and made use of the insights of dialogues taking place throughout the world. Nevertheless, we have tried to honour our Canadian context which includes many shared ministries among Anglicans, Lutherans, and other churches, as well as the advent of the ELCIC itself as a union of two Lutheran churches. This context has led us to seek an approach to full communion that is distinct. 8. In 1997, the House of Bishops of the Anglican Church of Canada and the Council of General Synod each agreed that they were prepared to view the historic episcopate in the context of apostolicity articulated in Baptism, Eucharist and Ministry (paras. 29, 34-38, 51-53), The Niagara Report (paras. 53, 94), and The Porvoo Common Statement (paras. 34-57). 8. The understanding of the episcopal office has evolved in both churches. We cannot here rehearse the entire history of those developments. Anglican theology regarding the relationship between the orders of bishop and presbyter in the first Anglican ordinal was based upon the theological conviction that the episcopal office was a distinctive expression of the presbyteral office with responsibility for oversight of the church and certain sacramental rites, namely confirmation and ordination. Significant changes to the ordination rites for bishops and presbyters were made in 1662 to eliminate any liturgical suggestion that the episcopate was derivative of the presbyterate rather than an order with its own integrity. 9. In that same year, the National Convention of the Evangelical Lutheran Church in Canada agreed that it was “prepared to take the constitutional steps necessary to understand the installation of bishops as ordination”. 9. Because Lutherans did not experience the same history as Anglicans, some of the various national Lutheran churches continued the episcopal ministry by retaining the episcopal office. Others continued episcopal ministry by expressing it in other forms. Within the ELCIC, the office of bishop has been established and is evolving. Given the various strands of Lutheranism that have come together to weave the fabric of the ELCIC, different understandings of the office of bishop exist. By recognizing the installation of a bishop as ordination, the ELCIC has clearly expressed its commitment to the office of bishop as the personal expression of episcope . 10. In a spirit of thanksgiving for what God has already accomplished in us, and with confidence and hope for what God has prepared for the whole Church, we believe we can now act in visible witness to the unity which is ours in Jesus Christ. We are taking the next step in our common pilgrimage of faith in the belief that it will be of service to a greater unity. 10. Based upon the work of our own national bilateral dialogues, the insights of international bilateral and multilateral conversations, and our own experience of eucharistic fellowship and shared ministries, our two churches are prepared to enter into full communion. We recognize that full communion will initiate a process that will result in the ordained ministries of both our churches sharing the sign of the historic episcopal succession in the service of the Gospel. 1. We understand the Anglican and Lutheran churches to be catholic churches of the Reformation. We are catholic in that we have remained faithful to the apostolic teaching and fellowship as expressed in the canonical scriptures of the Old and New Testaments and in the Apostles’ and Nicene Creeds. We celebrate the sacraments of our redemption, baptism and eucharist, and maintain a historic continuity in office of those exercising the apostolic commission. We are churches of the Reformation in that we share the common experience of renewal and revisioning that we know as the Reformation of the sixteenth and seventeenth centuries. This experience has led both our churches to root our faith in the sufficiency of God’s grace freely given to the believer. This faith finds expression in works of love which spring from a trust and reliance in God’s providential care for us and for the whole created order. Agreement in the gospel is fundamental to full communion between our churches. We believe and proclaim the gospel: that in Christ God has reconciled the world to God’s very self and that for any one who is in Christ there is a new creation. Through the Holy Spirit we are given power to become children of God and to grow into the full stature of Christ. We understand the Church as the communion of saints in which the gospel is purely taught and preached and the sacraments are administered according to the gospel and Christ’s ordinance. The liturgy proclaims the gospel as a celebration of salvation through Christ under the forms of water, bread and wine. In baptism we are made members of the community of the Church. In the holy communion we are nourished spiritually and our unity with Christ and with each other is strengthened. In receiving Christ in the eucharist we receive the forgiveness of sins, are reconciled to God and each other, are nurtured in the communion of saints, are given power in love and service and receive hope in the foretaste of the feast to come. 2. We acknowledge that both our churches share in the common confession of the apostolic faith. (Report and Recommendations, CLAD I, 1986) 2. Our churches share a common faith. This is expressed in mutual acceptance of the canonical scriptures of the Old and New Testaments and the Nicene-Constantinopolitan and Apostles’ Creeds. We use similar orders of service and see in the liturgy both celebration of salvation and actualization of the consensus fidelium (“the mind of the Church, lay and ordained”). As members of the community of faith our churches seek to submit to Jesus Christ in the teaching, mission and ministry of the whole Church. This is expressed in the doctrine of apostolicity. Apostolicity means continuity in the permanent characteristics of the Church of the apostles. As God’s gift in Christ through the Holy Spirit, apostolicity is not confined to the historic episcopate but is a diverse reality expressed in the church’s teaching, mission and ministry. Apostolic teaching is expressed not only in the Scriptures and historic ecumenical creeds but also in the confessional documents developed at the time of the Reformation. The particular confessions of our churches are seen as further witnesses of the faith of the Church Catholic by being expositions of the Holy Scriptures. The similar tradition of liturgical worship in our churches is further witness to a common faith and understanding of the Church. The apostolic mission of the Church is rooted in the sending of Christ in the power of the Spirit into the world by the Father, and in the sending of the apostles by Christ in the power of that same Spirit. This latter sending is shared by all members of the Church. Within the Church varieties of ministries are conferred by the Holy Spirit in the service of apostolic mission. 3. We acknowledge that personal, collegial and communal oversight (episcope) is embodied and exercised in both churches in a variety of forms, in continuity of apostolic life, mission and ministry. (The Porvoo Common Statement, 1993) 3. The ministry of episcope is a ministry of leadership bearing the authority of Christ in and to the community and involves fidelity to the apostolic faith, its proclamation and its transmission to future generations. This ministry of oversight is a caring for the life of the whole community, a pastoring of the pastors, and a true feeding of the whole of Christ’s flock. Episcope is entrusted to the whole Church and is exercised in the light of the gospel. The ministry of oversight is the particular responsibility of the bishop whose office is one of service and communication within the community of faith. Bishops preach the word, preside at sacraments and administer discipline in the service of oversight, continuity and unity. This ministry of pastoral oversight serves the apostolicity, catholicity and unity of the church’s teaching, mission and sacramental life. None of this is done in isolation from the whole Church but the ministry of oversight is exercised personally, collegially and communally. As a personal ministry episcope points to the presence of Christ by proclaiming the gospel and calling the community to serve in unity of life and witness. Episcope is collegial in that the bishop gathers those ordained to the tasks of ministry and takes counsel with them to determine how best to enable the ministry and mission of the whole Church. It is collegial also in that the collegiality of bishops locally relates to the wider Church. Episcope is communal because ordained ministry is rooted in the life of the community and requires the community’s effective participation. Through their participation in the governance of the Church, in their exercise of the ministries given them by God through the Holy Spirit, and by their personal discipleship and witness, the laity share in the ministry of episcope, the apostolic mission, and the furthering of God’s reign of peace and justice. 4. We acknowledge that one another’s ordained ministries are given by God as instruments of divine grace and as possessing not only the inward call of the Spirit, but also Christ’s commission through his body, the Church (An Appeal to all Christian People, Lambeth Conference, 1920); and that these ministries are the gifts of God’s Spirit to equip the people of God for the work of ministry (Ephesians 4:11-12). 4. We believe all members of the Church are called to participate in its apostolic mission through a variety of ministries. Ordained ministry exists to serve the ministry of the whole people of God. “Our churches acknowledge ordained ministry to be a gift of God to the Church, and thus of divine institution. Ordination is act of Christ in the Church.” (From Agreed Statement on Ordained Ministry , CLAD I, 1986). In the name of the Church and in the power of the Holy Spirit, those who are authorized to ordain do so with the laying on of hands and with the prayer of the whole assembly. Ordained ministry is regarded by our churches as essential for the Church and is exercised as a public office. For this reason the oversight of pastoral ministry through the office of episcope is seen as fundamental to the life, unity and mission of the Church. As joint heirs of the catholic tradition both our churches share a common basic understanding of the place of ordained ministry in the Church. Ordained ministry signifies the essential dimensions of the ministry entrusted by Christ to the Church and exercised by both of our churches. It has been possible therefore for our churches to acknowledge each other as churches where the gospel is truly preached and taught and the sacraments are rightly administered. We also affirm one another as churches which possess a genuine and authentic ministry of Word and Sacrament which derives from the teaching of the apostles and the practice of the early church. 5. We acknowledge that the episcopal office is valued and maintained in both our churches as a visible sign expressing and serving the Church’s unity and continuity in apostolic life, mission and ministry. ( The Porvoo Common Statement , 1993) 5. The episcopal office is a visible and personal sign of the apostolicity of the whole Church. This is grounded in the promise of Christ and the presence of the Holy Spirit at work in the whole Church. Succession in the episcopal office provides continuity of the apostolic life and mission of the Church through the ministry of oversight. Continuity in episcopal succession is signified in the ordination of a bishop. Through the laying on of hands the whole Church calls on God to pour out the Holy Spirit on his people. Through ordination to episcopal office the Church communicates its care for continuity in the whole of its life and mission. In the service of ordination a public declaration of the faith of the Church and an expression of episcopal ministry helps to make clear the meaning of the office as such a sign of continuity. This sign does not guarantee the faithfulness of the Church to its faith, life and mission nor does it guarantee the personal fidelity of the bishop. It is nonetheless witness to continuity of proclamation of the gospel of Christ and the mission of his Church. Faithfulness to the apostolic calling of the whole Church is maintained by more than one means of continuity. These means include “witness to the apostolic faith, proclamation and fresh interpretation of the Gospel, celebration of baptism and the eucharist, the transmission of ministerial responsibilities, communion in prayer, love, joy and suffering, service to the sick and needy, unity among the local churches and sharing the gifts which the Lord has given to each.” [BEM, Ministry, para. 34] In the light of this understanding of the signs of continuity, we recognize that the substance of episcope is present in both our churches, although the exercise of episcope has taken different shapes. The resumption of the sign of an ordained episcopate is not an adverse judgement on the past; it is a means of making more visible the unity and continuity of the Church at all times and in all places. By the sharing of our life and ministries in closer visible unity our churches are strengthened for the continuation of Christ’s mission in the world. In view of the substantive agreements between our churches on all matters fundamental to faith and ministry it has become possible for us to make statements of mutual recognition of ordained ministry and episcopal oversight. 1. The Anglican Church of Canada hereby recognizes the full authenticity of the ordained ministries of bishops and pastors presently existing within the Evangelical Lutheran Church in Canada, acknowledging its pastors as priests in the Church of God and its bishops as bishops and chief pastors exercising a ministry of episcope over the jurisdictional areas of the Evangelical Lutheran Church in Canada in which they preside. 1. The Anglican Church of Canada recognizes the authenticity of ordered ministries in the Evangelical Lutheran Church in Canada including both the offices of pastor and of bishop. 2. The Evangelical Lutheran Church in Canada hereby recognizes the full authenticity of the ordained ministries of bishops, priests, and deacons presently existing within the Anglican Church of Canada, acknowledging its priests as pastors in the Church of God and its bishops as bishops and chief pastors exercising a ministry of episcope over the jurisdictional areas of the Anglican Church of Canada in which they preside. 2. The Evangelical Lutheran Church in Canada recognizes the authenticity of ordered ministries in the Anglican Church of Canada including the offices of deacon, priest, and bishop. 3. 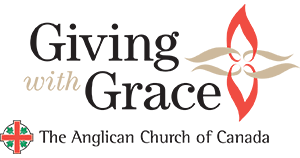 The Anglican Church of Canada and the Evangelical Lutheran Church in Canada affirm each other’s expression of episcopal ministry as a sign of continuity and unity in apostolic faith. We thus understand that the bishops of both churches are ordained for life service of the Gospel in the pastoral ministry of the historic episcopate, although tenure in office may be terminated by retirement, resignation or conclusion of term, subject to the constitutional provisions of the respective churches. 3. Our respective histories have caused our two churches to view somewhat differently the office of the historic episcopate. Anglicans have traditionally focused on the office as a sign of apostolic teaching, ministry and mission. The Lutheran Confessions have focused on the office as meaningful primarily as it contributes to the unity of the Church in faith and witness to the universality of the gospel of reconciliation. Both of these understandings come together in our present acknowledgements and agreements. Both our churches understand and accept the office of bishop to be that of episcope. Each church further understands that bishops are ordained for life service in the ministry of the historic episcopate, a pastoral ministry expressed in a variety of dimensions, including the prophetic, evangelical and ecumenical. At the same time it is acknowledged that episcopal tenure is subject to termination by retirement, resignation, conclusion of term or removal for cause as provided in the respective constitutions of our churches. We are able to understand that the existing bishops of our two churches are ordained in the pastoral ministry of the historic episcopate on the basis of the careful exposition of episcope expressed in The Niagara Report as well as the three key convictions outlined in the Commentary on paragraph 8 of the Introduction above. In describing the situation facing the Lutheran reformers, The Niagara Report notes that “the Reformers believed themselves authorized to act in this manner in an emergency situation, appealing to Jerome’s position on the original unity of the office of bishop and presbyter” (para. 57). The succession of a presiding ministry was preserved, given that the reformers had themselves been episcopally ordained, and the authority of the bishop passed to the presbyters acting collegially. The declaration of full communion between our churches is a step of enormous historic significance and millennial promise. Our two churches have existed for centuries sharing a common heritage of catholic churches of the Reformation, but living separately and parallel. We now come together in a visible witness to the unity which is ours in Jesus Christ. Full communion is not an organic union or merger of our churches but is a relationship of fundamental unity. Each church retains its autonomy of decision and governance, while at the same time recognizing and affirming each other’s catholicity and apostolicity, and acknowledging the authenticity of one another’s faith and doctrine. A declaration of full communion is an acknowledgement of mutual trust, confidence and respect. In this relationship communicant members of each church are free to communicate at each other’s altars and ordained clergy are eligible to preside at the celebration of the sacraments in either church. Full communion also makes possible transferability of members, interchangeability of ordained ministries and use of each others’ liturgies. Ordination and installation of clergy including bishops are open to participation by each other’s clergy and bishops. This declaration also implies mutuality in consultative structures intended to express, strengthen and enable common life, witness and service in all aspects of the life and mission of the Church. 1. to welcome persons ordained in either of our churches to the office of bishop, priest/pastor or deacon to serve, by invitation and in accordance with any regulations which may from time to time be in force, in that ministry in the receiving church without re-ordination; 1. We have come to trust the integrity of each church in its process of calling and preparing candidates for the ministry of Word and Sacrament. Both of our churches are agreed that ordination can be received only once and is not a repeatable act. We are also in agreement that the essential and specific function of the ordained ministry is to gather and build up the Christian community by proclaiming the Word of God, celebrating the sacraments, and presiding over the liturgical, diaconal, and missionary life of the community. We therefore commit ourselves to welcome the clergy of either church to exercise their ministries in either church subject to appropriate regulation. 2. to invite one another’s bishops to participate in the laying on of hands at the ordination of bishops as a sign of the unity and continuity of the Church, and to invite pastors and priests to participate in the laying on of hands at the ordination of pastors or priests in each other’s churches; 2. Each of our churches is committed to inviting one another’s bishops to participate in the laying on of hands at episcopal ordinations. This commitment is an expression of our churches’ recognition of the episcopal office as a visible sign of the churches’ unity and continuity in apostolic life, mission and ministry. It is the intention of The Waterloo Declaration to establish a relationship between the Anglican Church of Canada and the Evangelical Lutheran Church in Canada whereby bishops from both churches participate in the installations/ordinations of each other’s bishops. In the first draft of The Waterloo Declaration, Commitment # 2 read ‘regularly to invite .’. By removing the adverb ‘regularly’ the Joint Working Group intends to indicate unambiguously the unfailing commitment to invite the bishops of both churches to participate in each other’s installations/ordinations. We have come to acknowledge the present apostolic reality of the existing ordained ministries of our churches. 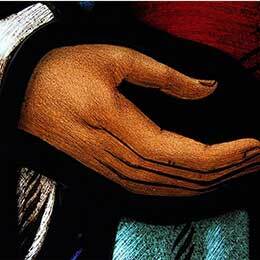 This mutual acknowledgement of our churches and ministries precedes the use of the sign of the laying on of hands in the historic succession. Consequently, resumption of the use of the sign by Lutherans does not imply an adverse judgement on a ministry which did not previously make use of the sign, but is rather a vivid expression of the Evangelical Lutheran Church in Canada’s commitment to the visible unity of the whole Church. Likewise, the Anglican Church of Canada commits itself to full communion with the Evangelical Lutheran Church in Canada on the basis of a renewed understanding of the relationship of the historic episcopate and apostolicity (ref. BEM, Niagara and Porvoo). This is not an abandonment on the part of Anglicans of their heritage. Rather, Anglicans have come to recognize in the ministries of the Evangelical Lutheran Church in Canada that apostolicity which Anglicans have experienced in the three-fold ministry of bishops, priests, and deacons. 3. to consult with one another regarding developments in our understanding of the ministry of all the baptized, including the ordained ministry; 3. All the baptized are called to share in the realization of God’s plan, and each is given gifts for ministry by the Holy Spirit. Ordained ministry serves the ministry of Christ’s people; ordained ministry does not replace that ministry. The ecumenical movement of the twentieth century has been accompanied by a renewal in our understanding of and our commitment to the ministry of all the baptized. Full communion is more than an agreement regarding ordained ministry; it is a commitment to deeper discipleship and more visible witness by all the members of our two churches. 4. to work towards a common understanding of diaconal ministry; 4. Both our churches acknowledge diakonia has a place within the ministerial office and are therefore committed to the continuing study and reform which will ensure a common understanding of diaconal ministry. Such study will include its place within the ministerial office and its relationship with other ministries. 5. to establish appropriate forms of collegial and conciliar consultation on significant matters of faith and order, mission and service; 5. Our churches commit themselves to establish forms of collegial and conciliar consultations on all significant matters and at every stage in the development of this new relationship. The establishment of full communion compels us to consider questions of doctrine, worship, and discipline together. We will travel on a common pilgrimage, side by side, rather than on individual paths that occasionally intersect. 6. to encourage regular consultation and collaboration among members of our churches at all levels, to promote the formulation and adoption of covenants for common work in mission and ministry, and to facilitate learning and exchange of ideas and information on theological, pastoral, and mission matters; 6. Our churches commit themselves to regular consultation and collaboration on all significant matters and at every stage in the development of this new relationship. This commitment may lead us, for example, to consider having representatives of one church on appropriate commissions, committees, and boards of the other church. Such considerations are the natural outcome since full communion is intended to lead us into deeper unity. 7. to hold joint meetings of national, regional and local decision-making bodies wherever practicable; 7. Our churches also commit themselves to hold joint meetings of national, regional, and local decision-making bodies wherever practicable and useful This will be an embodiment of the life of full communion and an expression of joint ministry and mission. 8. to establish a Joint Commission to nurture our growth in communion, to coordinate the implementation of this Declaration, and report to the decision-making bodies of both our churches, and 8. To assist in planning for mission, to nourish our growth in communion, and to coordinate the implementation of this Declaration, a Joint Commission will be established by and be accountable to both churches. The purpose of the Joint Commission will be to facilitate consultation and common decision-making through appropriate channels in fundamental matters faced by our churches. Although the agenda of the Joint Commission will be open to direction by the churches, it might include such matters as the appropriate regulations for receiving clergy from each other’s churches, ensuring the participation of each other’s clergy in ordinations, developing a common understanding of diaconal ministry, and developing of appropriate structures for consultation and collaboration in theological, pastoral, and mission matters. Unexpected questions will emerge from our experience of full communion. The Joint Commission will help our churches reflect theologically on these questions as well as evaluate how our relationship has unfolded. These reflections and evaluation will lead us to explore further steps our churches may take towards a fuller and more visible unity. 9. to continue to work together for the full visible unity of the whole Church of God. 9. Joint meetings and cooperative ventures represent a commitment to making visible in the day to day life of our churches the full visible unity of the whole Church of God. The churches are permanently committed to common mission and ministry, recognizing each other fully as churches in which the gospel is preached and the holy sacraments administered. Each church will continue to live in communion with all the churches with whom they are now in communion. This does not imply or inaugurate any automatic communion beyond these present arrangements. Both our churches will continue their dialogues with other churches and traditions. Where appropriate both churches will seek to engage in joint dialogues. On the basis of the Declaration both churches are committed to prior consultation before entering into formal agreements with other churches and traditions. At the same time such commitments are in no way intended to impede the development of relationships and agreements with other churches and traditions with whom they have been in dialogue. Both churches recognize that unity is both our Lord’s prayer for us [John 17] and a gift already given to us by God in Christ [Ephesians 4.1-6]. We have been entrusted with the task of making this unity even more visible. Wording in sections A.2, 3, 4, 5; and D.1, 2, 4, 5, 6 is derived from The Porvoo Common Statement copyright David Tustin and Tore Furberg. Published in 1993 by Church House Publishing for the Council for Christian Unity of the General Synod of the Church of England.